You are here: Home>FAQ>Stainless Steel Clamp Adjusts Over Wide Range. 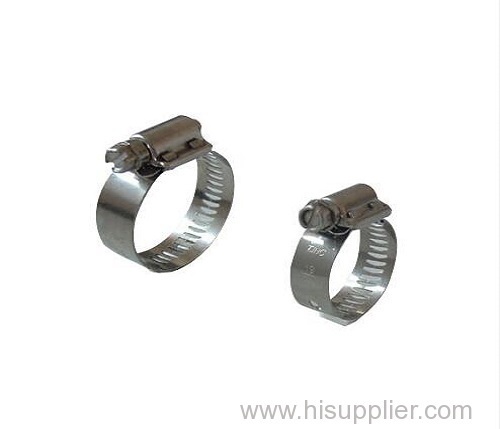 Clamp provides large diametrical adjustment range, similar to worm gear clamps, but has higher strength of T-bolt clamp. This allows one product to be used in several different applications. It can be fastened using simple torque wrench. Clamp comes standard with 3/4 in. 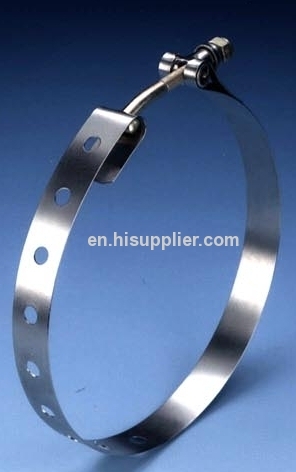 wide band and is available in both tempered and annealed stainless steel.